If you are asked to provide access, the request might sound illogical or like an invitation for heartache. It is normal to think that “no” is the right answer because everyone wants to protect his property from harm, and many would, if given the choice, do whatever they could to prevent a towering new development next door. However, “no” does not work because Real Property Actions and Proceedings Law (RPAPL) 881 permits an owner to temporarily enter upon adjoining property to perform repairs or otherwise improve his property, if the work cannot be performed otherwise. An owner needing temporary, justifiable access can commence a Supreme Court summary proceeding and obtain a license to enter upon neighboring property if he can show necessity, reasonableness and that the neighbor rejected his request. Courts routinely grant licenses because buildings need to be built and repaired. But RPAPL 881 does not permit access merely as a cost-saving measure and it does not allow permanent encroachments. When asked for access, an owner might believe that a gift of sorts is being bestowed upon him. Given the leverage the granting owner now has, the owner might envision a cash windfall in exchange for access, if the neighbor’s hands are otherwise tied. In some circumstances, a fee payable to the grantor/licensor is reasonable, and courts often require the grantee of access to pay a fee to the grantor for the privilege. However, the courts typically impose the fee only when access is needed for discretionary, as opposed to mandatory work. These court decisions make sense, since the owner needing access to maintain his building should not be penalized by having to pay the grantor, and the grantor should not profit when the safety of the adjoining building is a public concern. Conversely, the owner of new construction, who is not obligated to build, is expected to budget for a fee to the grantor as an additional cost of the project. In all circumstances, whether the access is for discretionary or mandatory work, the grantee typically pays the grantor’s legal fees for the negotiation and preparation of the written agreement, plus the engineer’s fees associated with review of the neighbor’s project. Access negotiations should be straightforward, but many pitfalls can arise. Dealing fairly and not taking advantage of the other’s needs is the most efficient approach. An owner denying access may be delaying the inevitable, because RPAPL 881 summary proceedings are simple to commence and designed to resolve quickly in favor of the grantee. Also, as with many types of disputes, litigation comes with the risk that the court is less equipped to make arrangements than owners and their engineers. Moreover, the court may not view the equities the same as the owners, to the detriment of one or both owners. For example, if the owner needing access commences a proceeding, with the hope that the court requires a lesser fee than the grantor is requesting, the result may not differ much than if the parties resolved the matter themselves. The courts usually sit the parties down and have them enter into an access agreement, reminding that the agreement’s basic framework includes a description of the work and the access area, a specific time frame for the completion of the work, cost allocation, insurance, and indemnifications. Similarly, a grantor holding out for a cash windfall may be wasting his time because RPAPL 881 says only that access shall be given “upon terms as justice requires,” leaving the court a great deal of latitude to craft an equitable arrangement. Right now, only one Appellate Division case has interpreted “as justice requires” under a specific fact pattern involving new construction, not mandatory work, where the grantor faced considerable, long-term inconvenience. The grantor received a fee, in part, because the facts compelled it. Until another Appellate Division ruling that further clarifies the "justice" standard, the parties are best advised to leave ill will aside and get a deal done, and to remember that cooperation can reap both current and future benefits. 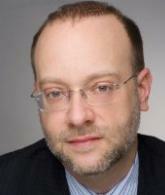 Partner, Borah, Goldstein, Altschuler, Nahins & Goidel, P.C. Email: Craig M. Notte, Esq. Can Condo Boards Enforce the NYC Pet Law?